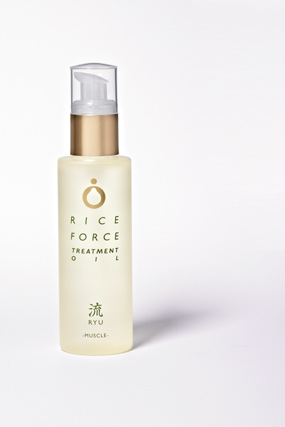 Our Rice Force Treatment oil named “RYU (muscle)” is a simple blend of refreshing Yuzu and mint, aiming to aid the flow of “Ki” throughout the body and relieve muscular tension and aches. Also, please look at the information about the vegetable oil contained in RYU. 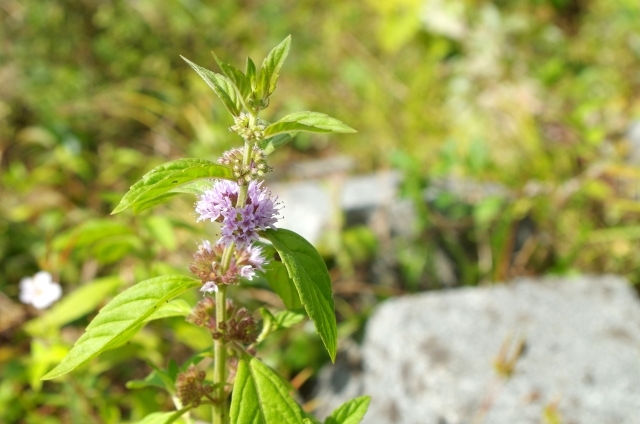 Japanese mint is a variant of peppermint different to that found in the West. It is characterized by a larger amount of menthol as its main ingredient, and gives a more refreshing feeling. Although it is a topical peppermint oil, effective in control measures in the summer season for mosquitos etc, there are other benefits to be gained in addition to these insect repellent effects. Menthol helps in the analgesic action and secretion of serotonin, a neurotransmitter in the brain. 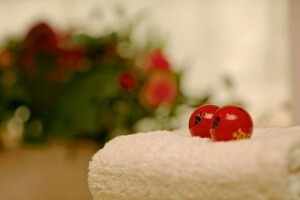 It encourages feelings of exhilaration while relieving aches and pains. It seems that there not many people who realise that the comforting aroma of peppermint oil makes it a refreshing alternative to help deal with muscle pain. This simple aroma blend of Yuzu and mint creates our oil “RYU (muscle)”. Among the three blended oils, I think that RYU contains the most refreshing feeling, due to the Yuzu being more thinly blended, thus amplifying its freshness along with the subtle addition of mint.